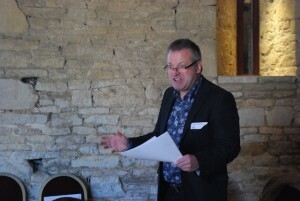 The British Plant Nursery Guide has a long standing relationship with the media. In addition Gilly Pollock is a Member of the Garden Media Guild so her network of journalists, researchers and producers is quite extensive. David Pollock is also connected to the media and works in television. We have been a close partner with Editor Suzy Smith and the Editorial and Show teams at the countries leading lifestyle magazine, Country Living. With a circulation of around 200,000 magazines a month this partnership was a fantastic opportunity for our nursery members to be seen in households up and down the country. 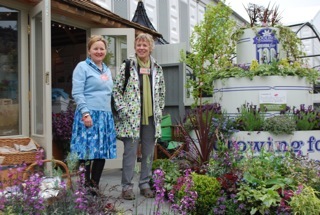 The partnership was strengthened when they joined us at RHS Chelsea Flower Show 2013 as our sponsors and business partner. 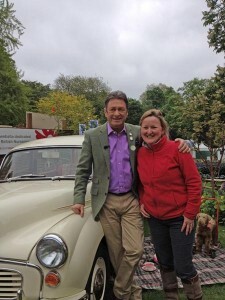 Founder of the British Plant Nursery Guide, Gilly Pollock, worked with Gardening Editor Stephanie Donaldson for two years on the gardening pages under the Out and About column. 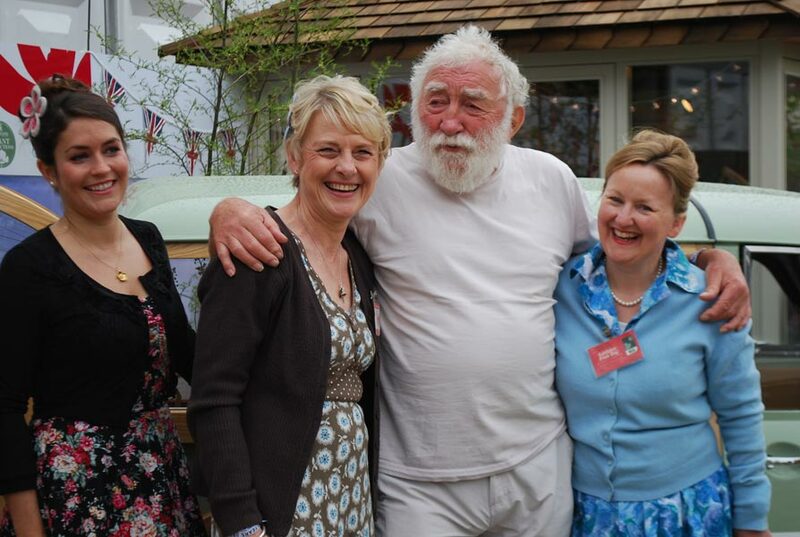 Country Living Magazine and British Plant Nursery Guide had a partnership at RHS Chelsea Flower Show 2013. 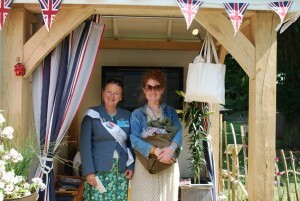 British Plant Nursery Guide members were the suppliers of plants for the Country Living Plant Collections. Thanks for your good work promoting smaller nurseries, their success is vital for our gardens! I believe that Scottish nurseries could really benefit from becoming a member of the British Plant Nursery Guide. The standard of their marketing materials and positive and professional presentation of nurseries, for which they are winning awards, is exceptional. 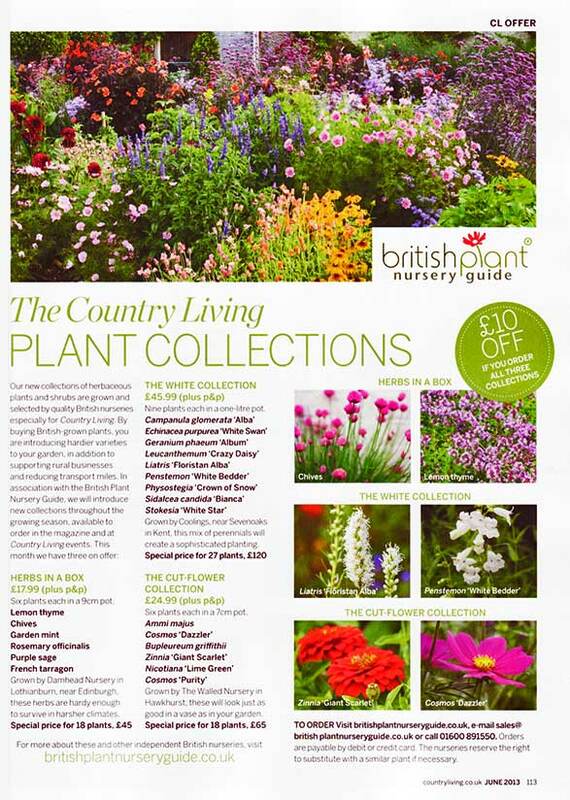 I've been following the British Plant Nursery Guide with interest since its earliest days and I am delighted to be able to work with the company to provide Country Living readers with interesting itineraries to visit some of our finest independent nurseries in different regional locations.